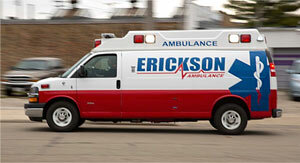 Erickson Ambulance is pleased to offer safe and reliable transport for our bariatric patients. Specialized gurneys that are able to support more weight than a traditional gurney are employed for the comfort and safety of our patients. 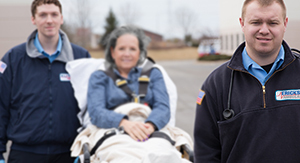 Erickson Ambulance is prepared to serve you at any time in order to provide superior care and transport when you need us. We offer specialized transportation options, all of which are equipped with well-qualified staff and equipment, so that we are able to administer expert care and prompt transportation to our patients. 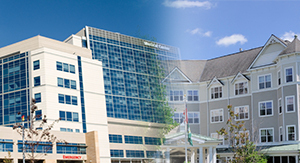 Erickson Ambulance offers a number of ways to serve hospitals, healthcare systems, nursing facilities, and other healthcare providers. For patients treated for kidney failure, we know that prompt, well-scheduled dialysis transportation is crucial for their well-being and quality of life. 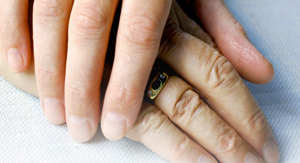 Erickson Ambulance is equipped to offer medical services for different types of special events in the Racine area. © 2018 Erickson Ambulance, Inc. All rights reserved. Responsive Web Design and SEO by Rand Marketing.